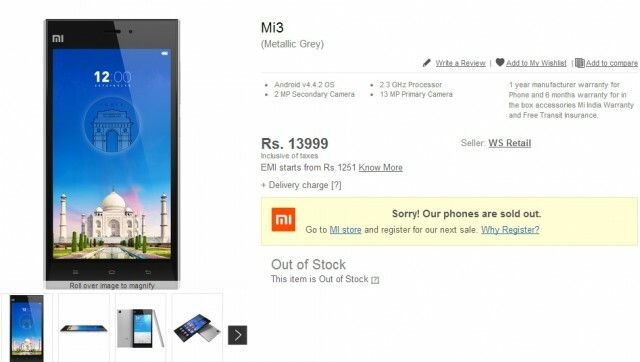 The Xiaomi Mi3 went on pre-order last week and the device went on sale today for Rs. 13,999. The sale was only open for people who had registered and the device has gone out of stock after going on sale for 38 minutes 50 seconds. Moreover, as we expected, Flipkart went down pretty soon owing to the huge demand of the device. We don’t know the number of units Flipkart sold but we do know that the Xiaomi smartphone has taken the market by storm. It is interesting to note that almost 100,000 people had registered to buy the Xiaomi smartphone. The device has been listed as sold out or out of stock now and both Flipkart and Xiaomi have announced that new registrations for the second batch of Mi3 units have already begun. The new registrations are open from today to 28th July midnight. 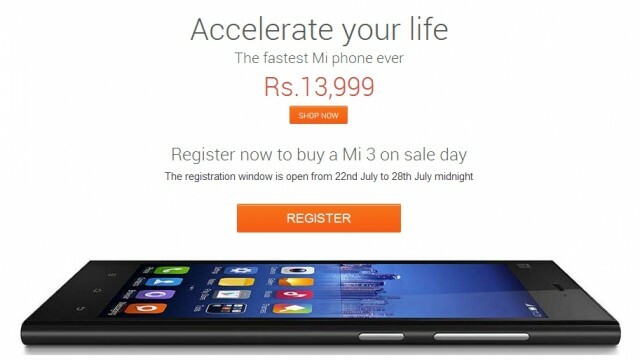 So, if you plan on buying the Mi3, you should register now by hitting the source link below. If you had registered for the first batch but could not buy the device, worry not, as you’re already registered for the second batch. The device will go on sale again on July 29 12 PM. Xiaomi Mi 3 Review: Awesomeness Incarnate!